A Lifetime of Experience and a Track Record of Success! George Lucas brings extensive knowledge of the luxury vacation home market in the Harbor Country area of Southwestern Michigan. He has an honest, direct and informative communication style, and excellent listening skills, which enables him to prepare his clients to make quality decisions regarding their real estate needs. He has developed a reputation for acting in his client's best interests and is known for being forthright with his clients and in other professional relationships. A Chicago native, George spent his childhood on the shores of Lake Michigan during summers with his family in Harbert, becoming a fulltime resident in 1996. This lifelong experience, combined with a corporate background in sales and marketing and a wealth of real estate experience provides a solid foundation to service his clients before, during and after the sale. George, far right. Harbert Beach, 1962. Photo by Dad. George's area of expertise is the sale and marketing of Lake Michigan lakefront properties, near lake cottages and homes and rural country properties in Southwestern Berrien County. In addition, George has developed an expertise in working through the challenges of marketing multi-owner and estate owned properties. He excels in difficult situations and is able to act as a diplomat between parties to get the job done. A self-described "Joiner", George is very active in his profession and his community. George has served as the President of Chikaming Country Club in Lakeside, the President of Chikaming Open Lands, a land conservation trust headquartered is Sawyer and he is currently the President of the Southwestern Michigan Association of REALTORS. 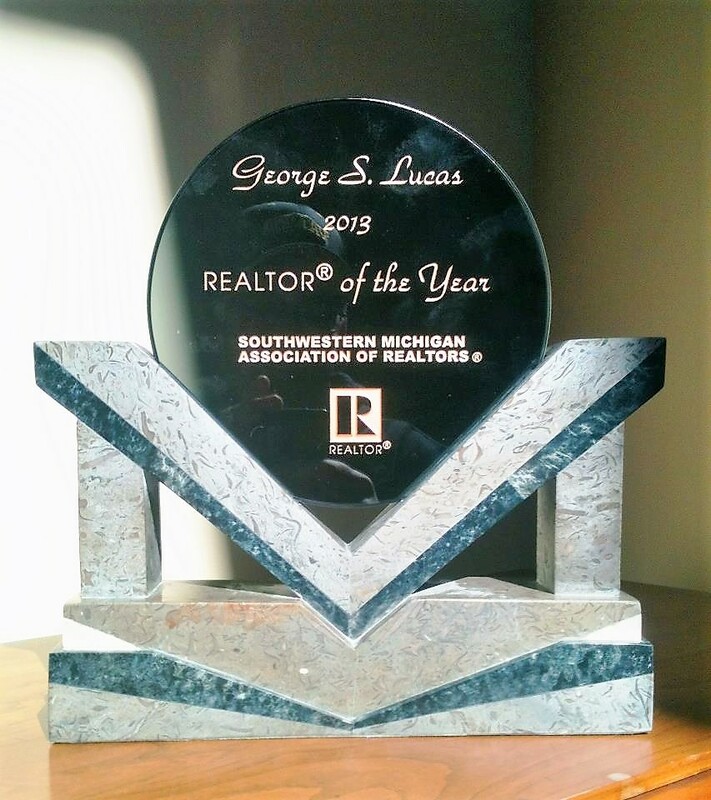 In 2013, George was recognized for his dedication to his profession and his community by being selected as the "REALTOR of the Year" for the Southwestern Michigan Association of REALTORS. In 2015, George was honored as a national finalist and an Honorable Mention for REALTOR Magazine's Good Neighbor Award in recognition for his work with Chikaming Open Lands. George also serves on the Finance Committee of the Michigan Association of REALTORS and is a season ticket holder for Valparaiso University Crusader Basketball. George is a Licensed Real Estate Broker, is a Graduate of The Real Estate Institute (GRI) and is a Certified Residential Specialist (CRS). 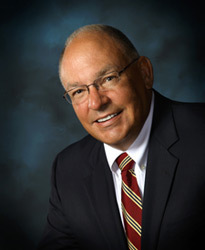 George earned a Bachelor of Science in Business Administration from Valparaiso University in Valparaiso, IN, where he lettered on the Varsity Wrestling team. Buying or Selling, it is important to work with a trusted REALTOR who knows the market, delivers a high level of service and has a track record of success.